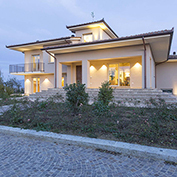 Casa dei Fiori Vigneto is part of a tiny medieval hamlet that hugs the slopes of the Pratomagno hills. 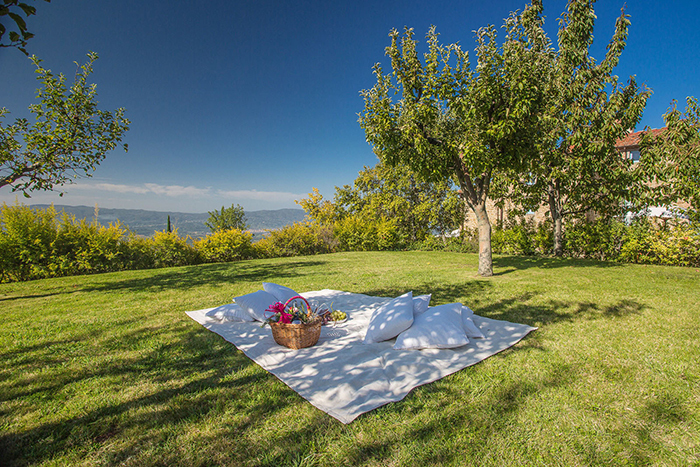 From the farmhouse you can hear distant church bells chiming and sitting at 650 mts above sea level the sunset can be spectacular as the sun sinks slowly down behind the Chianti hills across the valley. 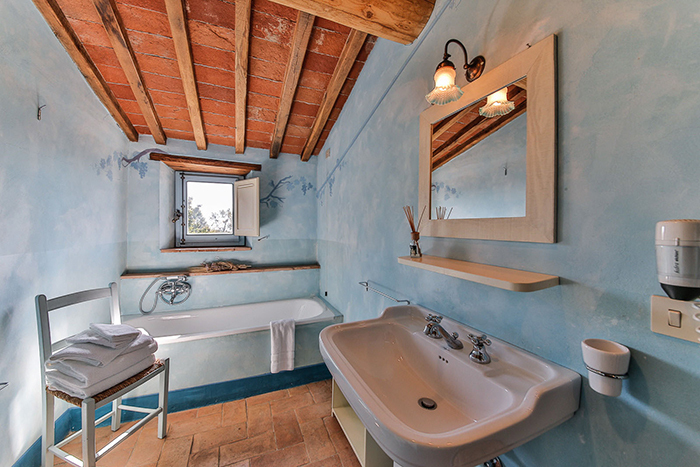 There are lots of local villages to explore and yet it is also well situated for the Renaissance cities of Florence (50 mins / 1 hr), Siena (1 hr) and Arezzo (40 mins), which are all within easy reach. Anyone who's looking for a relaxing holiday amongst some of the most beautiful countryside in the world will find this place a paradise. 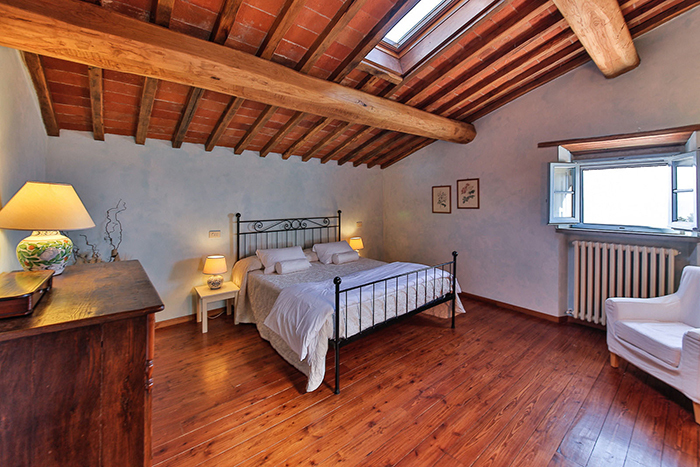 Experience it for yourself, you cannot help but fall in love with Casa dei Fiori Vigneto. 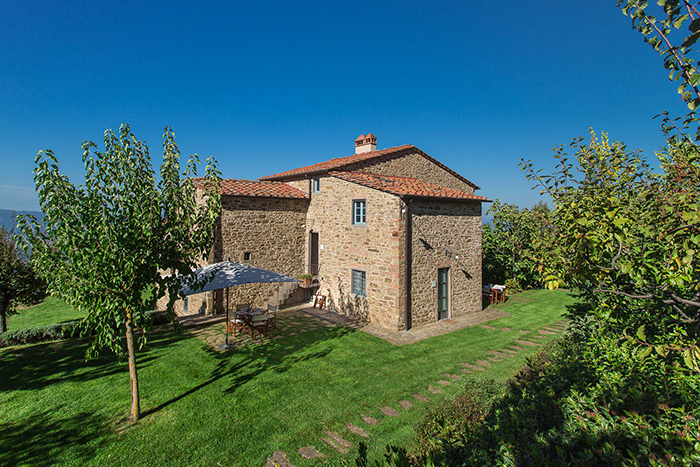 This tiny hamlet has 2 stylish stone farmhouses and reception. 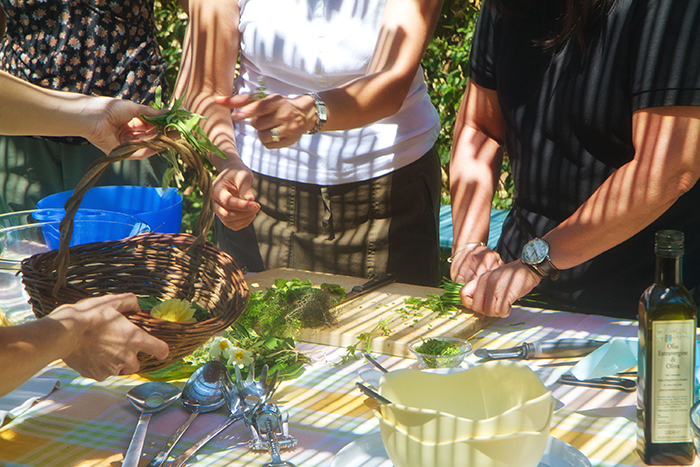 Free: May - Sept, herb garden tour and tasting menu at lunch OR dinner once a week, using herbs and vegetables from the garden. Min 4 people required. Security Deposit: A security deposit of €200 is payable in cash (euros) on arrival and will be held and returned to you on departure. 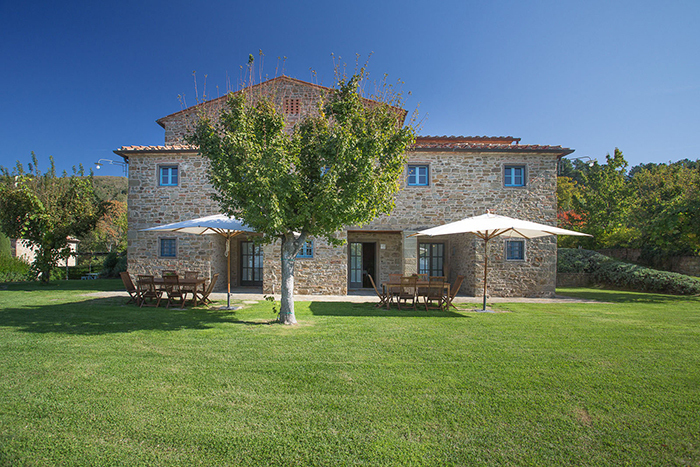 Casa dei Fiori Vigneto is part of a tiny hamlet and is made up of two stone farmhouses. One is a detached house and the other is divided into 4 apartments. There is also a tiny restored church, which is now the reception. 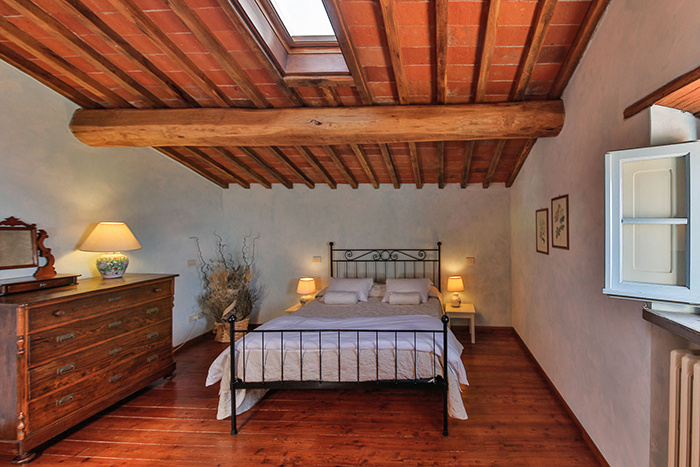 Casa dei Fiori Vigneto has been restored by specialist craftsmen, with attention to every detail thanks to the flair and vision of its owner. Traditional and modern styles are mixed innovatively to create a unique country style all of its own. 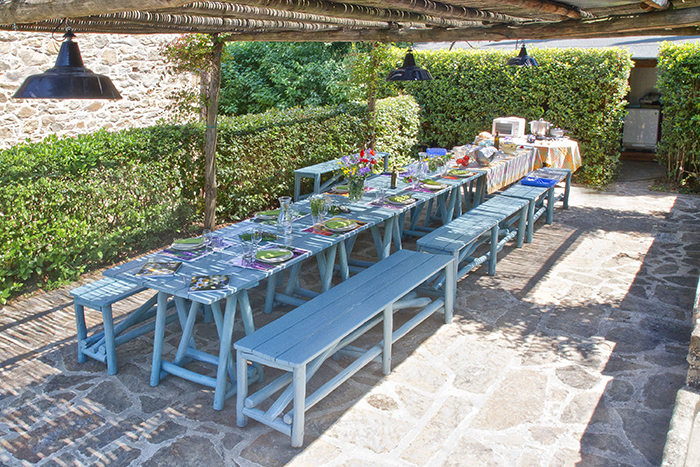 Outside amidst the large landscaped gardens is a swimming pool, barbecue and children's play area. 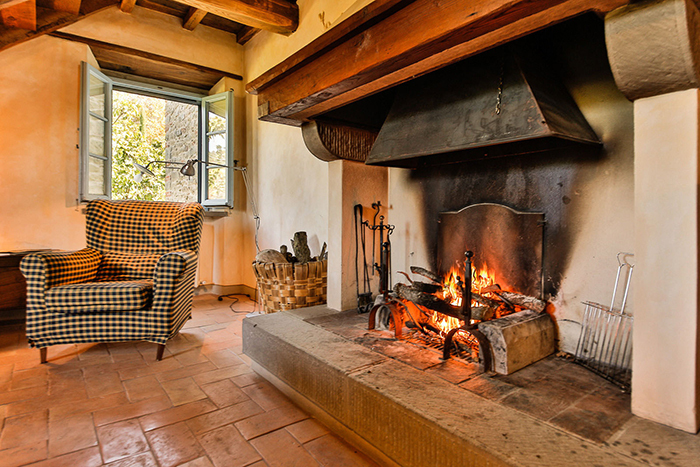 Casa dei Fiori-Vigneto is just a few kilometres from the village of Castel Franco di Sopra and also Loro Ciuffenna a medieval village that straddles a gorge. It is the perfect haven for a relaxing holiday but for those looking for something more energetic it is a marvellous base for walking, hiking, mountain biking or exploring the picture postcard countryside. 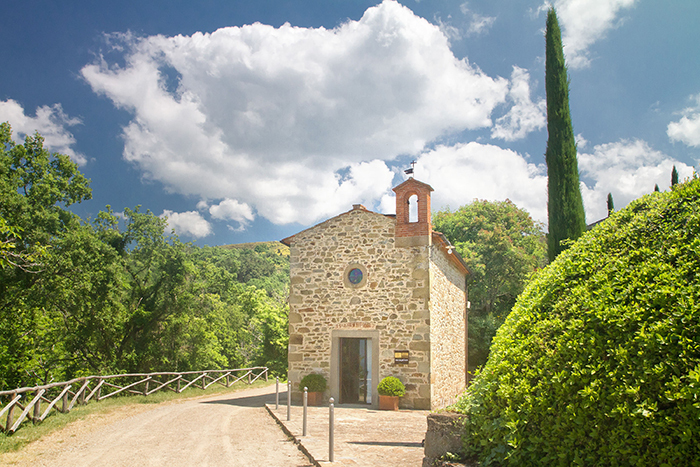 The tiny village church has been restored using traditional materials and has been decorated using paint effects and motifs to create a beautifully welcoming reception, which sells local wines and products grown and produced on the property. This tiny hamlet sits high up on the hillside and has stunning views over the valley below. The house sits towards the front of large landscaped gardens full of irises in spring. 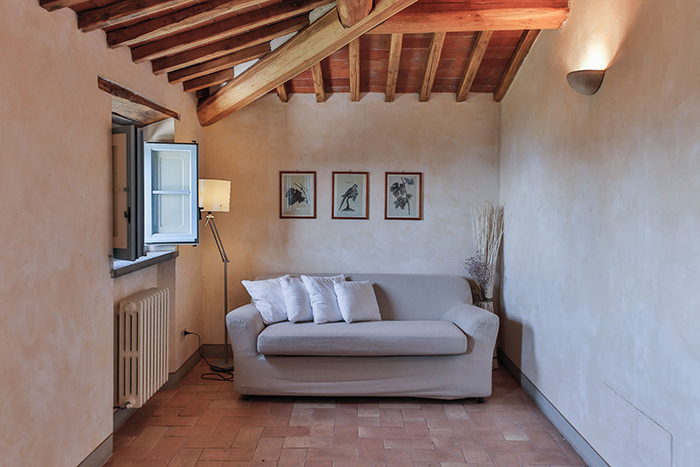 Vigneto is one of four apartments. Vigneto is on the first floor up a set of stairs from the front left of the house. It has a top landing with seating area and sofa bed. 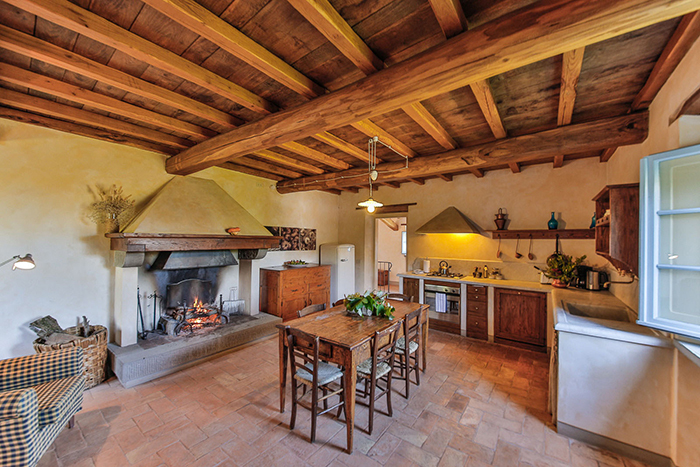 There is a large kitchen / living room with hob, oven, fridge, open fireplace and armchairs. A set of stairs leads from the kitchen to the second floor where there is a bathroom with bath with shower attachment and a shower, 1 double bedroom, 1 bedroom with 3 single beds. 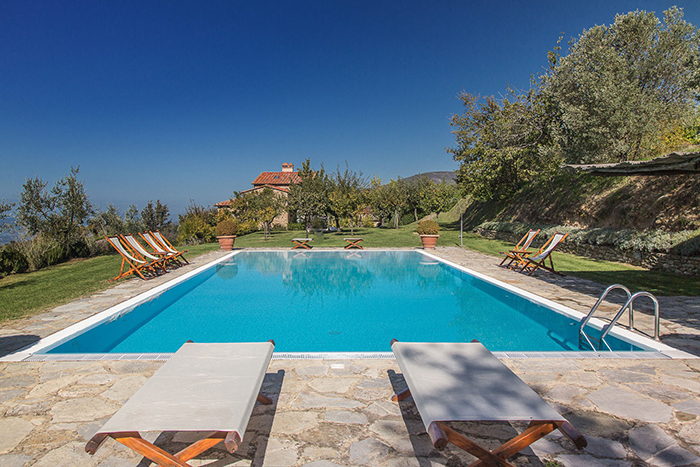 The pool area is located at a short distance from the house. 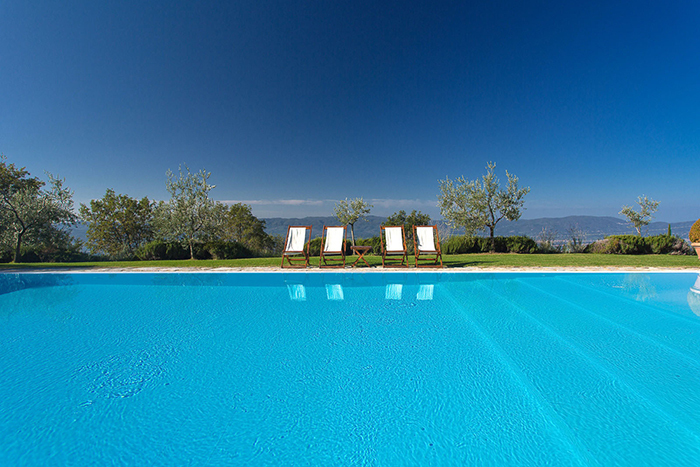 It is a large infinity pool (shared with 4 other apartments) with a covered loggia area for shade and has stunning views.